Most children develop typically within a standard timeframe. When a child experiences a delay in development, the explanation may be a naturally slower pace in reaching a developmental milestone or an indication that a more serious cause may be at hand. The term developmental delay can mean when an otherwise typically developing child has a slower rate of standard progress reaching one or more developmental milestones than is expected of a similarly aged child. Developmentally delayed can also be used to describe a child who is experiencing delays in development due to an underlying factor, like a medical condition, that prevents typical, age-appropriate development. Generally, when difficulties related to motor coordination and planning, language, speech, sensory processing, corresponding socialization, and associated muscle tone significantly interfere with social communication, academic or occupational achievement, or result in substantially lower performance in daily activities given the individual's age and intelligence, they are referred to as disorders. But even a minor impairment in functioning in one of these areas can require prompt attention and on-going remedial action. For children impacted by challenges in motor coordination and planning, language, speech, sensory processing, corresponding socialization, or associated low muscle tone, the symptoms may be slight or subtle for some children while the impact on others is severe and pervasive. Not all children with Developmental Coordination Disorder have the same motor coordination challenges or symptoms and degree of difficulty in performing motor tasks. In addition, some children may outgrow their motor coordination difficulties, and for others, it is a lifelong condition. Children with Developmental Coordination Disorder may have difficulty with planning a sequence of coordinated movements (ideation) and executing a plan, even when it is known (ideomotor). Children with Developmental Coordination Disorder may have problems synthesizing information from the sensory systems (vision, balance, depth perception, auditory, touch, and general body awareness) to produce coordinated movements due to deficits in sensory information integration. Thus, Developmental Coordination Disorder is also commonly referred to as sensory processing or integration disorder. Ultimately, children develop at their own pace. Personality traits vary widely as children have their own interests and preferences and are products of their upbringing, childhood environments, and genetic make-up. Some infants with Developmental Coordination Disorder are reported to be very colicky while others are the most pleasant of babies and did not have atypical bouts of fussiness. 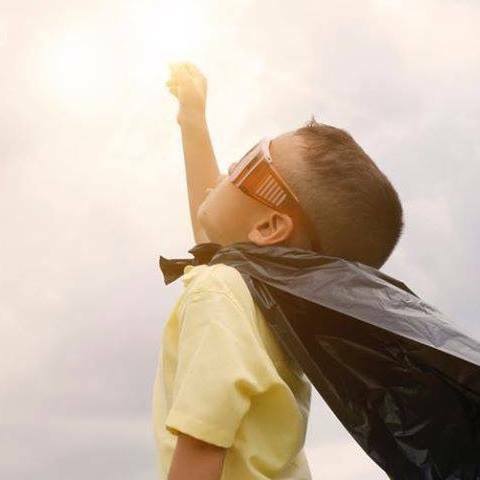 Children impacted by Developmental Coordination Disorder can suffer from shyness or attention deficits in addition to facing challenges with processing sensory input, such as reacting more strongly to sounds, lights, and noises, for example. Yet, others with Developmental Coordination Disorder, like Harry Potter actor Daniel Radcliffe, can be extremely outgoing in various settings. Natural differences in personality, though, may have little connection to the underlying motor coordination, language, and speech disorders because children without Developmental Coordination Disorder, Mixed Expressive and Receptive Language Disorder, Phonological Disorder, and related Hypotonia, also share personality commonalities with their typically developing peers. However, having these motor coordination, language and speech disorders and associated low muscle tone can certainly amplify feelings of insecurity, shyness, self doubt, shame, being a failure, anger, and contribute to low self-esteem, social withdrawal, depression, and isolation. Physical therapy can improve fine motor control and overall body strength. Occupational and speech-language therapy can help breathing, speech, and swallowing difficulties. Therapy for infants and young children may also include sensory stimulation programs. In some cases as the children reach school age, psychological or psychiatric services may be sought. · enjoy a typical (or better) life! About Developmental Coordination Disorder, Mixed Expressive and Receptive Language Disorder, Phonological Disorder and Hypotonia. Also referred to as: the hidden disorder; dyspraxia or dyspraxia syndrome; overall or global dyspraxia; developmental dyspraxia; the clumsy child or clumsiness syndrome; overall limb apraxia; specific developmental disorder of motor function; motor dyspraxia or apraxia; overall, global, or truncal Developmental Coordination Disorder; specific motor development disorder; overall apraxia; developmental apraxia; neuromotor abnormality; impaired motor function; motor coordination dysfunction; motor skill delays; gross motor skill impairment; fine motor skill impairment; dysgraphia; sensory processing disorder; sensory integration dysfunction; motor coordination or planning difficulties. Developmental Coordination Disorder impacts up to 6% of children, but some estimates reach as high as 20%. Associated Conditions: Expressive Language Disorder. Mixed Expressive and Receptive Language Disorder. Phonological Disorder. Recurrent Otitis Media with Effusion (ear fluid). Recurrent Ear and Sinus Infections. Hypotonia. Learning Disorders. Social Isolation. Differential Diagnosis: Cerebral palsy. Gross or Fine Motor Skills Delays. Intellectual Disability. Autism. Developmental Coordination Disorder is also referred to as the hidden disorder because children can be become quite adept at working around their motor coordination inabilities and can look and move seemingly indistinguishably from their peers in most settings. Children impacted by this disorder can generally move their entire bodies in every which direction but cannot move their bodies the way they want to when they want to, and thus, this disorder can be very difficult to detect. Often, children impacted by this disorder feel that they are different from their peers but do not understand how. Developmental Coordination Disorder can impact children of varying intellectual abilities from the extremely gifted to the most severely intellectually disabled. Children with Developmental Coordination Disorder frequently experience developmental delays in other nonmotor milestones. Outcomes for children with Developmental Coordination Disorder vary. Some children may outgrow their motor coordination difficulties, and for others, it is a lifelong condition. There are 3 basic steps in movement: 1) forming the idea to make the movement, 2) planning the movement, and 3) carrying out the movement. These three steps necessary for movement can be referred to as ideation, planning, and execution. Children with Developmental Coordination Disorder may have difficulty with planning a sequence of coordinated movements (ideation) and executing a plan, even when it is known (ideomotor). In addition, motor coordination involves more than just planning and executing movements but also the brain and body systems must be able to process and integrate internal and external information to function properly. Children with Developmental Coordination Disorder may have problems synthesizing information from the sensory systems (vision, balance, depth perception, touch, auditory, and general body awareness) to produce coordinated movements due to deficits in sensory information integration. Thus, Developmental Coordination Disorder is also commonly referred to sensory processing or integration disorder. There is currently no known cause of Developmental Coordination Disorder. Children with Developmental Coordination Disorder do not have any clinical neurological abnormality to explain their condition, nor is there a known brain insult or injury, a distinguishing factor from cerebral palsy. Some research suggests that the motor skill impairment is due to immature neuron development or myelination or a disroption in the neurons that transmit signals from the brain to the rest of the body. Structural maturation of the neurons is essential for cognitive, sensory, and motor development. Most agree, however, that regardless of cause, the signals from the brain are not being transmitted properly to the rest of the body for successful movement. Developmental Coordination Disorder is generally defined as substantially low performance in daily activities that require motor coordination or academic achievement given the individual's age and intelligence and can lead to severe educational, occupational, and social problems. There may be significant delays in achieving motor milestones (for example, rolling, crawling, standing, walking, sitting), potty training, dressing oneself, personal care skills (brushing teeth or combing hair), clumsiness, drops things, difficulties with handwriting, poor performance in sports or awkward movements. Also referred to as: specific language impairment; verbal language impairment; language processing disorder; developmental aphasia; speech delay. Developmental Expressive Language Disorder impacts 10-15% of children under 3 years of age and between 3-7% of school-aged children. Associated Conditions: Developmental Coordination Disorder. Receptive Language Disorder. Phonological Disorder. Recurrent Otitis Media with Effusion (ear fluid). Recurrent Ear and Sinus Infections. Hypotonia. Learning Disorders. Social Isolation. EEG or Neuroimaging Abnormalities. Apraxic or Dysarthric Traits. Differential Diagnosis: Language or Speech Delay. Mixed Expressive and Receptive Language Disorder. Landau-Kleffner Syndrome. Intellectual Disability. Autism. Expressive Language Disorder is considered a specific language impairment. Please see below for further information about Developmental Mixed Expressive and Receptive Language Disorder. Expressive Language Disorder is an impairment in expressive language development and may involve difficulties with both verbal language and sign language. The resulting language difficulties interfere with social communication or with successful performance of daily activities at school or work. There is currently no known cause of Expressive Language Disorder. Children with Expressive Language Disorder do not have any clinical neurological abnormality to explain their condition, nor is there a known brain insult or injury. Often children with Expressive Language Disorder can experience EEG or other neuroimaging abnormalities, such as epileptiform activity, but it is not considered nor tied to epilepsy or Landau-Kleffner Syndrome. Children with Expressive Language Disorder frequently begin speaking late and generally make slower progress through various stages of expressive language development. Children with this disorder may fully understand language but cannot linguistically express themselves when and how they want. Children with Expressive Language Disorder find ways to communicate within their means, be it with echolalia (using known phrases or words just previously heard or at some time in the past to express thoughts or needs), spontaneous utterances, or nonconventional language tactics (for example, repeating known words), signs or gestures, facial expressions, body language, behavior, and other forms of nonverbal communication. Expressive Language Disorder may present as one or more of the following: a limited range of vocabulary and amount of speech; difficulty in acquiring new words, recalling words, or vocabulary errors; shortened sentences; simple grammar construction; limited use of grammatical structures (like verb forms); few varieties of sentence types (such as imperatives or questions); use of unusual word order; and omissions of important linguistic pieces in sentences. While the linguistic impact of Expressive Language Disorder can vary greatly among children depending on its severity and the age of the child affected, most children ultimately acquire more or less typical language abilities by late adolescence, although minor challenges may continue to exist. Also referred to as: auditory processing disorder; specific language impairment; receptive language impairment; language processing disorder; language delay or speech delay; developmental aphasia. Receptive Language Disorder is generally only seen with Expressive Language Disorder. Developmental Mixed Expressive and Receptive Language Disorder impacts up to 5% of children and 3% of school-aged children. Associated Conditions: Developmental Coordination Disorder. Phonological Disorder. Recurrent Otitis Media with Effusion (ear fluid). Recurrent Ear and Sinus Infections. Hypotonia. Learning Disorders. Social Isolation. EEG or Neuroimaging Abnormalities. Apraxic or Dysarthric Traits. Differential Diagnosis: Expressive Language Disorder. Language or Speech Delay. Landau-Kleffner Syndrome. Intellectual Disability. Autism. Mixed Expressive and Receptive Language Disorder is considered a specific language impairment. Please see above for information about the expressive language aspects of this disorder. Mixed Receptive and Expressive Language Disorder is an impairment in both expressive and receptive language development and may involve difficulties with both verbal language and sign language. The resulting language difficulties interfere with social communication or with successful performance of daily activities at school or work. There is currently no known cause of Mixed Expressive and Receptive Language Disorder. Children with Mixed Expressive and Receptive Language Disorder do not have any clinical neurological abnormality to explain their condition, nor is there a known brain insult or injury. Mixed Expressive and Receptive Language Disorder is diagnosed when a child has problems expressing thoughts using language and also has problems understanding what people say. Receptive Language Disorder may present as one or more of the following: difficulty understanding basic words or simple sentences to age-appropriate vocabulary, statements (for example, “if-then” clauses), or specific types of words (like spatial terms); may appear intermittently not to hear, be confused, or not paying attention when spoken to; may follow commands incorrectly or not at all; may have low joint attention; may have delay in reasoning or “thinking” skills; may have delayed social skills; and may be nonresponsive when answering questions or answer inappropriately or tangentially. A child can also have deficits in various aspects of auditory or sensory information processing, such as poor attention to or discrimination of sounds, association of sounds and symbols, sequence of sounds and memory (storage), and recall. If the recall ability is severely impaired, it is sometimes referred to as developmental anomia. While the linguistic impact of Mixed Expressive and Receptive Language Disorder can vary greatly among children depending on its severity and the age of the child affected, most children ultimately acquire more or less typical language abilities by late adolescence, although minor challenges may continue to exist, and the prognosis is better for those who do not also have expressive language difficulties. Also referred to as: verbal or oral dyspraxia; developmental verbal dyspraxia; verbal or oral apraxia; childhood apraxia of speech; oral or speech Developmental Coordination Disorder; articulatory apraxia; developmental apraxia; verbal dyspraxia; speech delay, speech or oral motor impairment; developmental dyspraxia of speech; oral or speech motor planning difficulties. Phonological Disorder can be moderate to severe in 2% of children at the ages of 6-7 but impacts a much larger percentage of children in its milder forms. At least 3% percent of preschool children present with Phonological Disorder, but this number drops to 0.5% by age 17 years. Developmental Dyspraxia of Speech is considered a form of Phonological Disorder. Developmental Coordination Disorder. Expressive Language Disorder. Mixed Expressive and Receptive Language Disorder. Recurrent Otitis Media with Effusion (ear fluid). Recurrent Ear and Sinus Infections. Hypotonia. Learning Disorders. Social Isolation. Differential Diagnosis: Oral Hypotonia (developmental dysarthria). Phonological Disorder is defined as a failure to use expected speech sounds that are developmentally appropriate for the child’s age and dialect. The resulting sound production difficulties interfere with social communication or with successful performance of daily activities at school or work. Sometimes the cause of Phonological Disorder is clear, like a hearing impairment resulting from chronic ear fluid. For others, there is no known cause, such as a clinical neurological abnormality, to explain the condition. Children with Developmental Coordination Disorder and associated Hypotonia may have a higher likelihood of apraxic (oral motor planning and coordination difficulties) and dysarthric (oral muscle weakness) traits. There may be problems synthesizing information from the speech organs (lips, teeth, tongue, etc.) to produce coordinated speech movements due to deficits in sensory integration for some children with Phonological Disorder. Phonological Disorder may present as one or more of the following: may have errors in sound production, use, representation, or organization, like substitutions of one sound for another (/d/ for /g/ - velar consonants) or omissions of sounds (in the middle or end of a word, for example); may have difficulties with phonological production or articulation that involve the failure to form speech sounds correctly; may find it challenging to sort out the difference in meaning between various sounds; the severest form manifests in having no intelligible speech; may have problems ordering sounds within syllables and words (pasghetti for spaghetti). Children with this disorder may know how they want to sound but are unable to control the oral muscles and speech organs to move how and when they want correctly and consistently. Developmental Dyspraxia of Speech or Apraxia of Speech involves inconsistent errors, difficulty sequencing sounds in connected speech, and vowel distortions. Problems solely with speech rhythm and sound are not considered to be part of Phonological Disorder. Mild to moderate Phonological Disorder resolves in most children (roughly 75%) by 6 years of age, and approximately ½ percent of children will have lingering difficulties into adulthood. Hypotonia is a medical term used to describe decreased muscle tone, or the amount of resistance to movement in a muscle. It is not the same as muscle weakness, although the two conditions can co-exist. Children with Developmental Coordination Disorder will most likely have Hypotonia. Infants with Hypotonia have a floppy quality or “rag doll” appearance because their arms and legs hang by their sides and they have little or no head control. Other symptoms of Hypotonia include problems with mobility and posture, breathing and speech difficulties, lethargy, ligament and joint laxity, and poor reflexes. Hypotonia does not affect intellect. However, depending on the underlying condition, some children with Hypotonia may take longer to develop social, language, and reasoning skills. Hypotonia can be a life-long condition. In some cases, however, muscle tone will improve over time. Oral Hypotonia (developmental dysarthria) is a motor speech disorder existing at birth that refers to weakness, slowness, or no movement of the muscles of the mouth, face, and respiratory system. Swallowing problems (developmental dysphagia) can be related to neuromotor speech disorders. Physical reactions to environmental irritants, like cigarette smoke and dust, seasonal colds, allergies, and the flu, and certain diseases and conditions can result in ear fluid, ear infections, sinusitis (sinus infection), large or enlarged adenoids, ear wax (cerumen), tonsillitis (throat infection), opacification of the sinuses or mastoid, mastoid disease or infection (mastoid air cells disease or mastoiditis), all of which could cause a disruption in hearing, auditory processing, language processing, speech, motor function, socialization, sensory processing, balance, sleep, behavior, and development. Ear infections occur more frequently in boys than girls, in children whose families have a history of ear infections, during the winter seasons when upper respiratory tract infections and colds are common, and when allergies cause chronic nasal congestion. Children with excess ear wax (cerumen) or ear wax impaction can experience a significant impairment in hearing (conductive hearing loss) until the ear wax is removed because excessive ear wax can impede the passage of sound in the ear canal. Excess ear wax may also disrupt Eustachian tube (a tube that links the back of the nose to the middle ear) function and prevent fluid from draining from the middle ear. Movement of the jaw helps the ears' natural cleaning process, and when children are late to talk, have poor oral motor coordination, or dysarthria (low muscle tone in the oral organs), there is very little jaw activity, which can cause ear wax to build up. In addition, the narrow and short shape of the ear canal may be an impediment to the ears’ natural cleaning process, and anxiety and stress, like from having an acute ear infection, can cause an increase in ear wax production. Sometimes excess ear wax is hereditary. A high fat diet may also create ear wax excess. Enlarged adenoids or adenoid hypertrophy (refers to swollen lymphatic tissue that is found in the airway between your nose and the back of your throat) caused by nasal congestion and infection (sinus infection or sinusitis) or naturally large adenoids can keep fluid and mucus from properly draining from the ears, even if the child has had ear tubes inserted surgically, and cause chronic inflammation, congestion, and infection in the adenoidal and surrounding tissue, including tonsils and ears. Conversely, an infection in the throat or tonsils (strep throat or tonsillitis) can spread to cause infection in the adenoids and ears. In addition, large adenoids can significantly impair socialization, hearing, auditory processing, language, speech, gross motor development, articulation, balance, and even affect facial growth characteristics if there is chronic nasal airway obstruction (long face syndrome). Whether adenoids and tonsils are naturally large or enlarged due to chronic congestion and infection, sleep apnea can result in children. Sleep apnea is defined as frequent stoppage of breathing caused by relaxed tissues in the throat during sleep. Sleep apnea has been linked to depression, obesity, high blood pressure and stroke, mood swings, personality changes, inability to concentrate, heart disease, reduction in intellectual ability, and so forth, and most often goes undetected. In addition to loud snoring, other symptoms of obstructive sleep apnea in children include: failure to thrive (weight loss or poor weight gain), mouth breathing, problems sleeping and restless sleep, excessive daytime sleepiness, impaired reflexes, and daytime cognitive and behavior problems, including problems paying attention, aggressive behavior and hyperactivity, and poor performance in school. 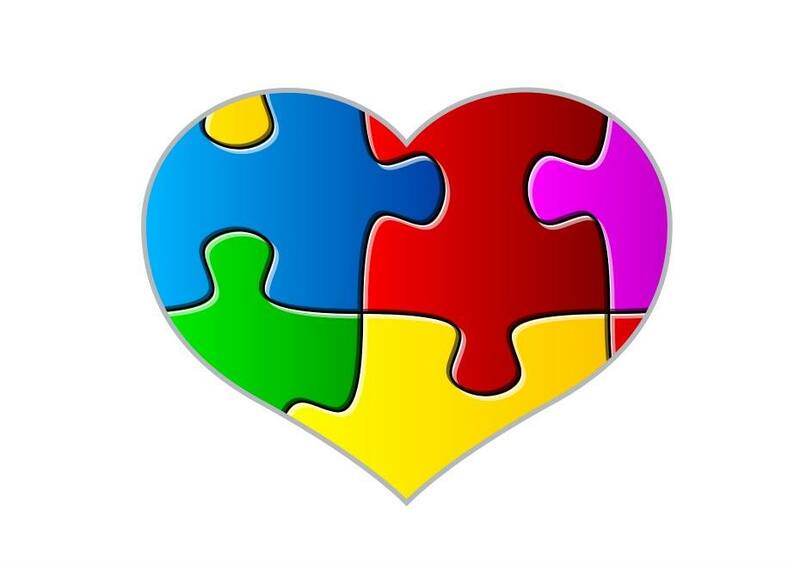 1 According to the DSM-IV, Developmental Coordination Disorder, Expressive Language Disorder, and Mixed Expressive and Receptive Language Disorder do not co-occur with autism. However, given the expansive application of the autism criteria used today by special educators, medical professionals, and others in the public health fields to identify children wtih developmental delays as early as possible, a preexisting classification of autism should not preclude an evaluation for Developmental Coordination Disorder, Expressive Language Disorder, or Mixed Expressive Language Disorder. The indicators listed below focus whenever possible on abilities and resulting characteristics that would be unique to the underlying motor, language, and speech disorders and associated muscle tone condition experienced by these children regardless of expected differences in personality traits or intelligence. Children with Developmental Coordination Disorder, Mixed Expressive and Receptive Language Disorder, Phonological Disorder, and associated Hypotonia may experience one or more, and likely several to many, of the following during various stages of development and may experience earlier than listed below. American Psychiatric Association: Diagnostic and Statistical Manual of Mental Disorders (DSM), Fourth Edition, Text Revision. Washington, DC, American Psychiatric Association, 2000.
WHO (2007). International Statistical Classification of Diseases and Related Health Problems (ICD-10) 10th Revision Version for 2007. World Health Organization, 2010.